FRISCO, Texas (Oct. 22, 2018) - Frisco RoughRiders Executive Vice President Jason Dambach has departed the organization to pursue opportunities outside of Minor League Baseball. 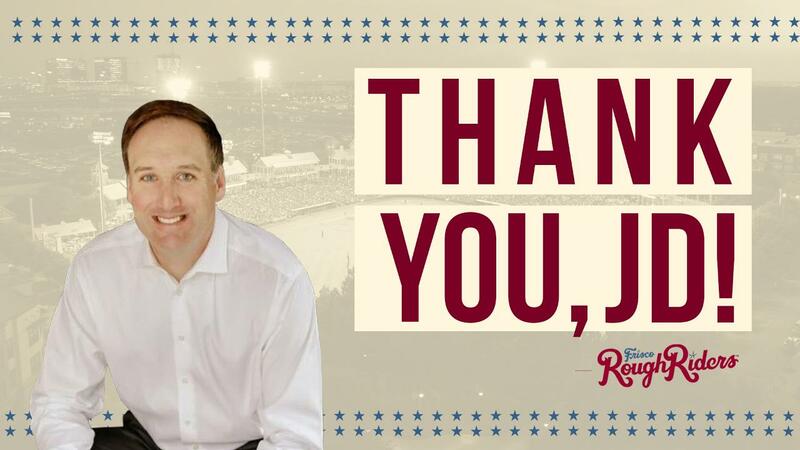 "I'd like to thank Chuck Greenberg for 16 wonderful years together in professional baseball in Altoona, State College and Frisco, and especially for providing me the opportunity back in 2015 to join the RoughRiders and be part of such a talented and innovative management team in one of the most vibrant and forward-thinking communities in the country," Dambach said. For nearly two decades, Dambach has been a key contributor to franchises across the Greenberg Sports Group, including four great years with the RoughRiders. He took over as the team's Executive Vice President & General Manager prior to the 2015 season. During his tenure in Frisco, he oversaw the organization's new branding, numerous major ballpark renovations - including the installation of the world-famous Choctaw Lazy River - and some of the most successful theme nights in the organization's history. "Regardless of the role he held or the team he worked with, Jason was integral in taking our franchises to new heights, and that was especially true in Frisco," said General Partner & CEO Chuck Greenberg. "I am immensely grateful for his contributions and wish him nothing but the best in his future endeavors." The RoughRiders executive leadership team continues to be led by President and General Manager Andy Milovich, who assumed his new role with the team in July 2018. Under Milovich's leadership, the RoughRiders have embarked on new strategies for ticketing, food and beverage service and fan engagement to ensure the RoughRiders are fully prepared for the explosive growth in North Texas. The team will continue to build on its reputation for great service, creative promotions and the most affordable family fun in the region.